TOEFL registration is an easy and simple process. The candidates have the freedom of taking the exam whenever in the year according to their benefit and preferred dates. The essential thing to note is that the candidates can reschedule their next attempt only after 31 days of taking the first test. A candidate is just permitted five attempts in one year. It’s an online exam that is offered 30 to 40 times each year. TOEFL exam is conducted in online and also offline mode. Many candidates choose Internet Based Test. 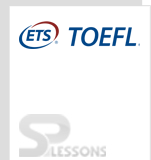 As of now, 8,500 schools and colleges scattered more than 130 nations, utilize TOEFL exam’s score. Note: Candidates should note that the above-mentioned fees can be changed without any notice. The TOEFL test fees that are mentioned above are exclusive of VAT and other taxes. Registration can be done 24 hours a day, 7 days seven days. Make sure the name you use while you are registering the exam and identification proof you will bring on test day should me match. See Identification Requirements. You are required to carry not less than 1 type of ID before you can register for a test date. You can pay with a credit/debit card: American Express®, Discover®, JCB®, MasterCard® or VISA®. You can also use a PayPal® account, or an electronic check (e-check) if you have a bank account in the United States or its territories. Payment methods are subject to change without notice. Once look at the registration form before you call the Regional Registration Center. You may pay with a charge/MasterCard or TOEFL voucher. Enrollment by telephone closes seven days before a test date. For late registration, registration by 5 p.m. nearby test focus time the business day before the test. Make sure of that the name entered while you are registering the test and your name on the identification you bring on the test day should match exactly. See Identification Requirements. Candidate can also register by mail id. First, Download and complete the registration form. Payment options are listed on the form (under the form). Payment can be sent to your Regional Registration Center (you can see this below the from) or the address on the form. Your form must be received a minimum of 4 weeks before to your test date. Choose any one type of payment method that is listed below the form. Make sure to receive a confirmation. If you do not, call the location that your registration was mailed. This should be done a minimum of 3 days before the registration deadline. In few regions, candidates can enroll themselves by going by a local regional office of TOEFL. The enrollment procedure should be possible against the cash payment of $ 144 (Rs. 5500). When you enroll for a TOEFL iBT test, you can also order the TOEFL® Value Pack Premium, which includes test preparation materials, 5 extra score reports and a US$35 discount off a future TOEFL iBT registration for just US$148 — a total savings of 33%! Other Value Packs are additionally accessible. Your initial step is to make a TOEFL profile. You’ll utilize this record to enroll for the exam, see your scores, and send score reports to schools. Making a record is anything but difficult to do and generally includes contributing some essential data, for example, your name, email, and place of residence. An essential thing you have to focus on is entering your name and birth date. Both of these must match exactly the ID you bring with you to test day, and you won’t have the capacity to change and transform them after you’ve created your profile. After creating a profile, you can register for the TOEFL. On the main page (which you’ll be sent to after you complete your profile and additionally every time you sign in), go to one side of the page and click on “Register for a Test” On the following page, select “TOEFL Test,” then read through and agree to the terms of service. Next, select the country where you’ll take the TOEFL. Depending on where you’ll be taking the test, you may then also need to select the state and region/city where you plan on taking the test as well. You’ll then select the range of dates you’re available to take the TOEFL. This range can be anywhere from 1 to 60 days. After you’ve entered your selected date range, a list of available test centers and test times will automatically be shown below. Each entry will show the date, test center name and location, and time of the exam. After choosing and confirming a specific test center, time, and date, you’ll then enter the information of the ID you’ll be bringing to the test center. Make sure to enter this information correctly, since it must match the ID you bring on test day exactly or you won’t be able to take the TOEFL. Additionally, make sure that the ID you’re using meets TOEFL’s ID requirements. On the following next two pages, you’ll be choosing the universities you want to receive your scores. You can send scores to up to four schools free as part of your registration fee. To find the correct university, you can search by school name, institution code, or location. You’ll now observe a page where you have to make payment. The TOEFL registration fee varies by country, however, you can check their site to see estimated costs before registering. Your test date and location, as well as the university you chose to be score recipients, will also be shown. You’ll then confirm the order, choose a method of payment, and enter in your payment information. You can pay for the TOEFL with VISA, American Express, Discover, JCB, MasterCard and e-checks. After this, your registration is finished, and you’ll soon receive an email confirming it. By Online: TOEFL candidates can reschedule or cancel their TOEFL test by logging into the TOEFL account. After logging in, candidates need to go for “View Orders” on the home page. Post visiting the view orders, click on “Modify” or “Cancel” as per the need. By Phone: Firstly, candidates have to visit the official site of ETS. Search for TOEFL and click on it, and after that “Contact Us”. Candidates need to choose a location from where he is applying and afterward submit. There, contact information of the specific country will show and candidates can contact according to their need. Note: Before contacting the personnel, candidates should be prepared with the registration number, address, email id, phone number, and TOEFL test date. In US domains, US territories and Canada, candidates can call at 1-443-751-4862 or 1-800-468-6335. TOFEL test will be conducted more than 60 cities overall in India.